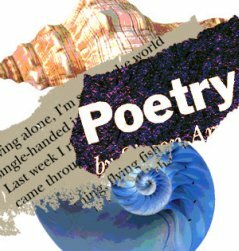 “Poetry – any communication resembling in beauty or the evocation of feeling” (~WordWeb). An art in my life. Writing has been one of my interests since I was still a child. I used to have journal of essays and poems with various instances occurring. I even wrote a poem for my first dog who passed away! Lately did I just realize that I’ve been writing about all the temporal things like reviews around the Metro, features for our school paper, well, the eminent disposition of love, so and so. Below is the first poem I wrote inspired by A Being who has been continually changing my life for the better towards His glory! A great wonder beyond what the eyes can see. Appeared an image of lightness so serene. There within was a Man of such power and grace. As I felt the warmth of His loving presence. Obscurity behind like shadows of frailty. With the bind of failures, I struggled for hours. Until a small voice whispered in delight. For guidance from above has long begun. Fear was conquered and I was reborn. An unconditional gift more than once revealed. To love You back as You’ve always love me..